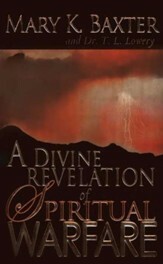 From the author of A Divine Revelation of Hell comes a collection of dramatic, real-life testimonies of recovery. Hear from people who received healing from deadly diseases and illnesses as well as from destructive lifestyles and habits. 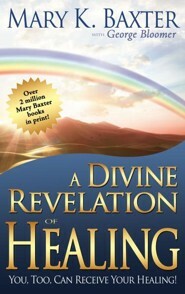 You'll discover Baxter's beliefs about the causes of sickness and the keys to divine health. 144 pages, softcover from Whitaker. Learn the causes of sickness. Defeat the power of evil. Receive physical and emotional healing. God desires to heal His people. 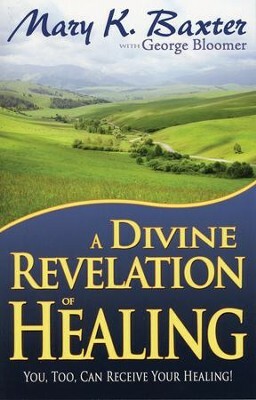 You can be among those who receive healing today! 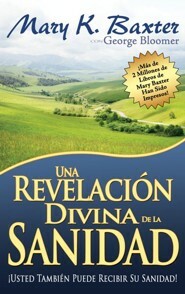 Mary K. Baxter is an international evangelist. In 1976, she received visions of hell and heavenrevelations of warning and of salvation that she has since recorded in her books. From her Florida-based ministry, she ministers around the world, and many miracles have occurred in her services. 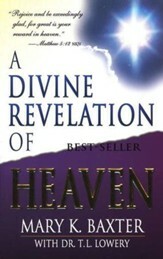 Mary Baxters book A Divine Revelation of Hell has sold more than 1.3 million copies. 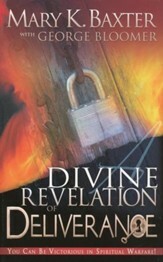 In addition to that work, her books published by Whitaker House include A Divine Revelation of Heaven, A Divine Revelation of the Spirit Realm, A Divine Revelation of Angels, A Divine Revelation of Spiritual Warfare, A Divine Revelation of Deliverance, A Divine Revelation of Healing, A Divine Revelation of Prayer, and The Power of the Blood. Bishop George Bloomer is the founder and senior pastor of Bethel Family Worship Center in Durham, North Carolina, and The Life Church in Goldsboro, North Carolina. A native of Brooklyn, New York, Bloomer overcame difficult personal challenges, as well as a destructive environment of poverty and drugs, and he uses those learning experiences to empower others to excel beyond their seeming limitations. He has appeared on several television, radio, and media outlets nationwide, including CNNs Faces of Faith, The Trinity Broadcasting Network, The Harvest Show (LeSEA Broadcasting), and The 700 Club (Christian Broadcasting Network). He can be seen weekly on his nationally broadcast program, Spiritual Authority. Bloomer is the author of a number of books, including More of Him, Authority Abusers, and the national best seller, Witchcraft in the Pews. 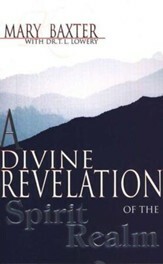 He has also collaborated with Mary K. Baxter on A Divine Revelation of Deliverance,A Divine Revelation of Prayer, and A Divine Revelation of Healing. 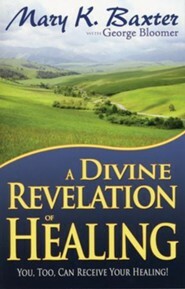 I'm the author/artist and I want to review A Divine Revelation of Healing.